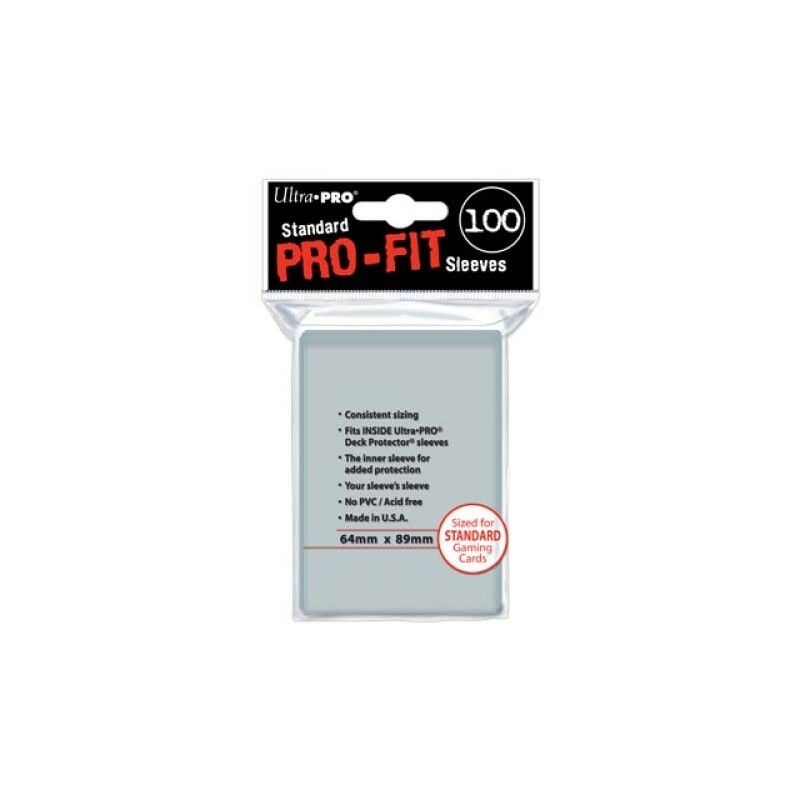 Pro-Fit Deck Protectors designed for standard sized cards. These inner sleeves fit tightly around the card to give it an extra layer of protection. Pro-Fit can also be used as a standalone sleeve if looking to showcase the full art of the card. Made from ultra clear, archival-safe and acid-free material. 100 sleeves per pack. 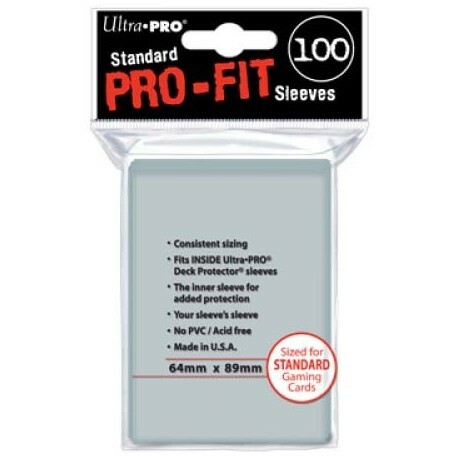 Pro-Fit Deck Protectors designed for standard sized cards. These inner sleeves fit tightly around the card to give it an extra layer of protection. Pro-Fit can also be used as a standalone sleeve if looking to showcase the full art of the card. Our standard sized Pro-Fits can be used in conjunction with our 35pt One Touch magnetic holder, especially recommended if the card is expected to be taken in and out of the holder frequently. Made from ultra clear, archival-safe and acid-free material. Do not use with sharp-angled sports cards as the tight fit may damage the corners. 100 sleeves per pack.